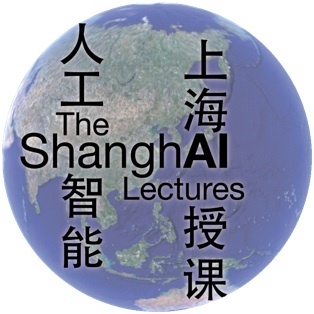 This week we publish the second of the ShanghAI Lectures 2013 Edition on Robohub — we will release a new lecture from this series every Monday until the series is complete. Please use the comments section below to send us your questions, and we will do our best to respond! You can learn more about the ShanghAI lectures here. Many people will probably agree with Dennett from a philosophical standpoint, but what are the implications for robotics research and robot development? There are many: What is the Frame-of-Reference problem? How we can get rid of it in principle? How can we get rid of it in practice? Unfortunately, the real world doesn’t come with labels. How can we associate symbols with a continuous stream of sensory stimulation? What is the cognitive role of physical interaction of the agent with the world? Check Rolf’s lecture to inspire your thoughts. The implications of the embodied intelligence paradigm are wide and deep. In this talk Pedro Lima, from the Instituto Superior Tecnico in Lisbon, Portugal, shows how human institutions can be seen as emerging processes in swarms of embodied intelligent agents, a.k.a. ‘robots’. This view has some implication on the economic sciences, too. In Portugal they are sensitive to ‘economics paradigms’ and know that current ones have some flaws :-). On the other hand an ‘institutional-inspired’ approach seems quite beneficial also for network robot development. Pedro Lima, is a professor at IST and a leading researcher in robotics and AI, and above all he is a nice guy and a subtle and deep thinker!